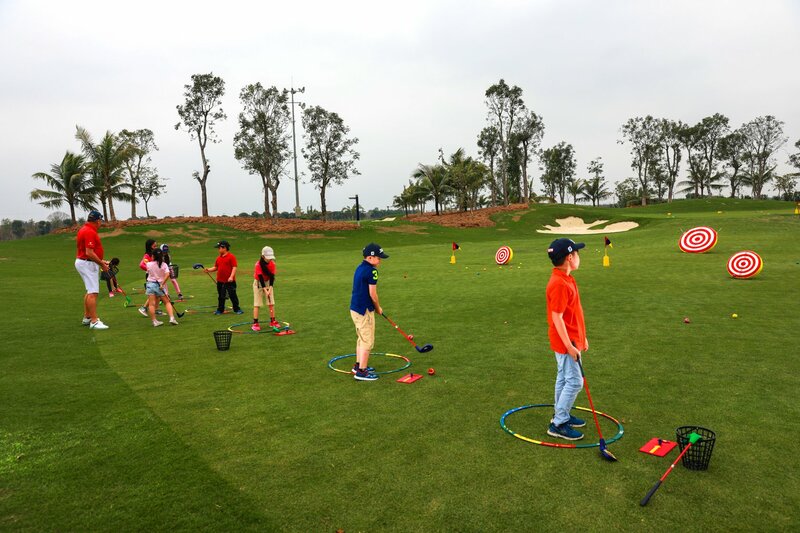 The Little Easy Foundation program works with SNAG golf equipment which allows us to create a cool instruction theme which is visually appealing to our younger golfers with equipment better matched to suit their physical strength and size. The sessions develop a love for the game at an early age and are structured to help maintain interest levels and enthusiasm throughout the program. The Foundation program is targeted to develop sound FUNDAMENTALS for children new to the game and keen to experience golf for the first time. The program spans over an 8 week term and includes a one hour golf lesson each week combined with a program of optimal movement techniques to enhance motor skills & hand eye coordination from an early age. The Little Easy Young Athlete Development program is targeted for juniors who have successfully completed a Foundation program and who are familiar with the basics of the game. The classes are delivered in an 8 week term with a weekly session of 90 minutes including 30 minutes fitness for golf followed by a one hour golf lesson which covers both short game and long game technique. The Development program is focused on improving swing fundamentals, building a better technique & developing shot making skills to improve overall golfing performance on the EPGA Academy course. The Little Easy Young Athlete Performance program is designed for the more accomplished junior player who has completed the development program and is looking for a more comprehensive & focused strategy in the development of their game. The classes are delivered in an 8 week term with a weekly session of 90 minutes including 30 minutes fitness for golf followed by a one hour golf lesson which covers both short game and long game technique. The program provides the junior athlete with a more in-depth understanding of their individual swing and a pathway to perform at a higher level by improving ball flight control and short game technique – with a strong emphasis on course management & shot strategy. The Performance program prepares the children to play in local junior events and compete in National tournaments. Xuan Quan, Van Giang, Hung Yen, Vietnam.